Robotics and unmanned applications increasingly need to be smaller, lighter and smarter, thus relying on connectivity solutions that combine miniaturization with ruggedness for high performance despite rough handling in the toughest environments. Fischer Connectors helps design engineers solve their connectivity challenges for robotic applications and translate their requirements into innovative custom solutions to keep them at the forefront of technology. 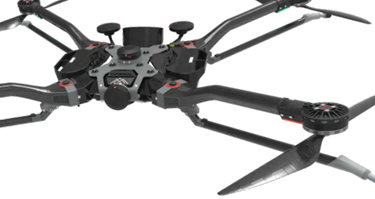 Hexadrone Systems’ Tundra drone uses the Fischer MiniMax™ Series connectors for rugged miniaturization and modularity. Download the case study for the full story.